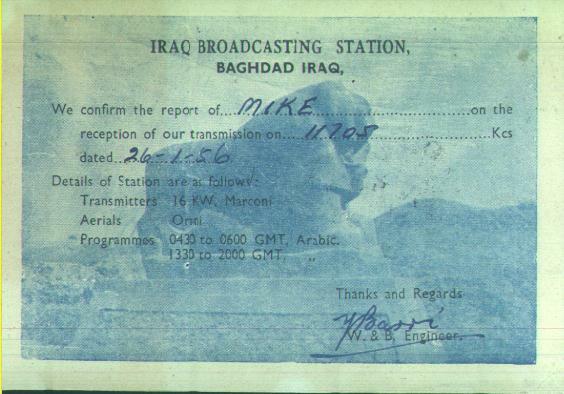 QSL card from HNG the Iraq Broadcasting Station, Baghdad, for a report of 26 Jan. 1956 on 11.705 MHz. Power was 16,000 watts. This was a very difficult catch from the U.S. west coast. This rare QSL card is from the collection of Mike Christie, K4MZ, in Crawfordville, FL.